✅ Trip Verified | Buenos Aires to Quito via Sao Paulo. The second leg of this flight, from Sao Paolo to Quito, was due to arrive at 22:30. 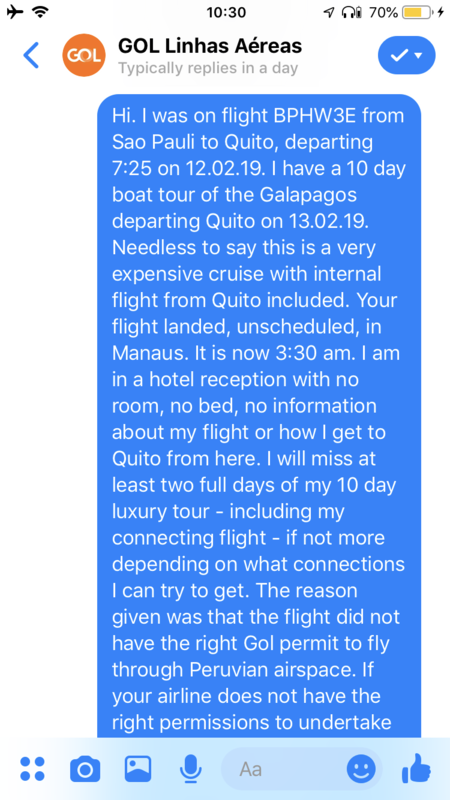 Instead, it diverted without explanation or warning (at any rate which was comprehensible to the sleeping passengers) to Manaus in the middle of the Amazon, Brazil at 01:30. The reason given (eventually) was that the plane didn’t have permission to use Peruvian air space. We were sent to a local hotel which did not have rooms available and were abandoned there without a GOL representative. 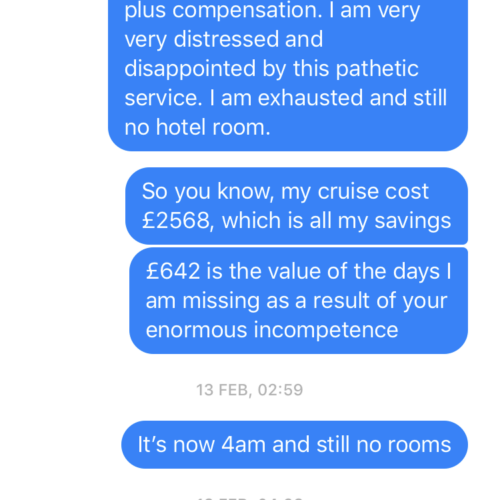 I ended up sharing a room (solo female) with a stranger (male) at 05:30 when it became free. We finally arrived in Quito at 18:30 the next day. 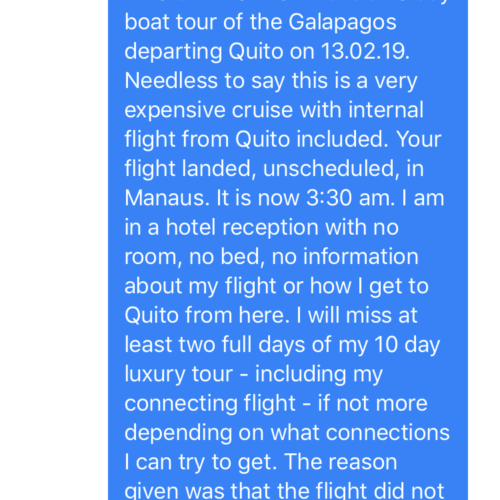 I ended up missing my 10 day tour of the Galapagos and spending over USD350 on replacement flights. No response from GOL, nothing from customer service, no apology, no refund and no explanation/confirmation for me to give to my insurers. Unbelievable, never again. "Try to avoid this airline"
✅ Trip Verified | Buenos Aires to Sao Paulo. A disaster no matter where you look at. I will never take a flight on this airline again. Delayed my first flight from bs as by 3 hrs, lost all my connecting flights. 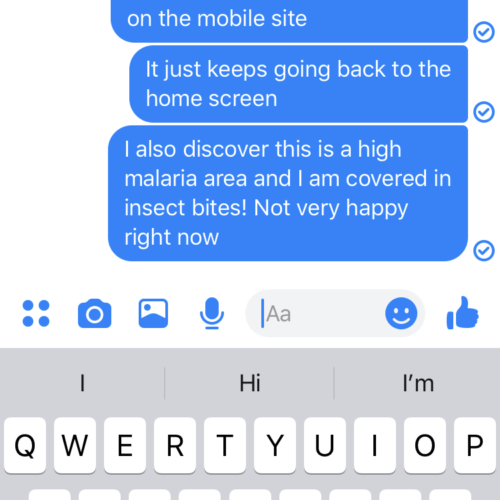 The worse part was the customer service at the airport. To find their counters, to having to visit 3 different offices to get answers. I think they must be losing so much money in all the hotel accommodation for passengers that miss their flights because of poor planning. One one agent was kind enough to show me my way to the right place in the airport. Try to avoid this airline, they are very inefficient and don't know why they make their connections as short as one hour when they know they are unorganized and will likely miss planes due to delays. ✅ Trip Verified | We flew GOL in a codeshare domestic Brazilian flight between Salvador and São Paulo, in order to there catch a TP flight to Lisbon. 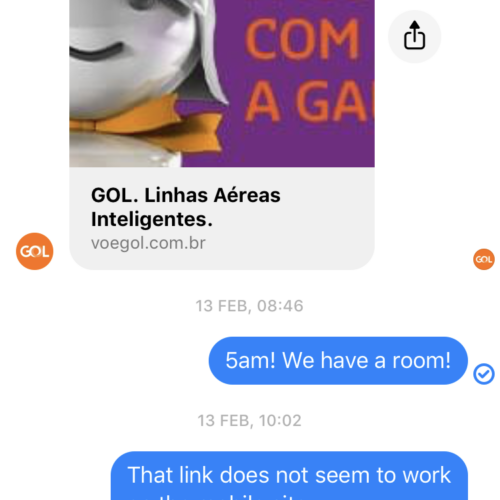 Unfortunately, GOL was not fit to manage codeshare pax: First of all check-in attendant was unable to understand that Japanese citizens do not need a Visa to enter Europe, as they are compelled to have a Visa to enter Brazil! Check-in took literally 40 minutes. Our luggage was tagged to Lisbon fortunately. However he did not recognize our Star Alliance Gold privileges despite codeshare number. We received both boarding passes SSA-GRU-LIS. We proceeded to security. When boarding we were forbidden to enter the aircraft, as "we had been taken out of the flight". Once more ground staff did not understand that we were on codeshare, and gave our seats to...GOL standby staff. We had to insist on boarding as we were on an international connection. Hard job. Arrogant and rude personnel. Our situation was responsible for a 20 min delay to the flight. Finally the 2 GOL employees accepted leaving the plane (they did not want to). We were not seated together. But after such a huge stress, it was not a serious point. It is obvious that GOL, an LCC, which has very limited international routes, and is not a member of Star Alliance, is not able to deal with TP pax. ✅ Trip Verified | Sao Paulo to Asuncion. My luggage was delayed by 6 days. The costumer service at the airport claimed that it would arrive with the next flight, which led us to stay in the city one day longer. However, this was untrue and wasted us a valuable day and the money for the hotel. The personnel responsible for the luggage promised to keep us up to date through email and phone calls but never contacted us. This led us to having to call them and to huge telephone fees due to being in a foreign country. After 6 days the luggage finally arrived but we were not contacted and only found out once we contacted them ourselves. The personnel at the airport claimed that we would get a reimbursement of 50 dollars for the first day and 25 dollars for every subsequent day of delay. I contacted the person responsible to get the money back but the communication was very difficult because they hardly answer your mails. At some point I got offered reimbursement of 50 dollars and was supposed to sign a document to never demand any more money of them. This is less then half of the money I was supposed to get according to their own airport personnel. After complaining about this fact I have never heard from them again. I still have not received any compensation for my losses. Worst customer support I have ever experienced - I can not imagine what would have happened if these people would have lost my luggage completely. Huge losses without any compensation. Shady and unprofessional company - stay away. ✅ Trip Verified | Rio de Janeiro to Florianopolis. No, just no. This airline is worse than terrible. We had a serious issue while flying. We checked in using the check in machine for the airline an their machine actually ripped my husband's passport, causing it to be invalid! 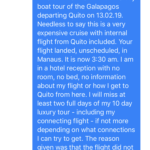 This created a major issue where we needed to speak to the airline for hours and in the end he had to fly to another city to get a new passport so that we could continue with our travels. After speaking with them for months trying to resolve the issue and get reimbursed for this, they passed us around and honestly just played stupid to try to get us to give up. The whole situation was a nightmare and the airline did nothing to help even though this was completely their fault. We will never fly with this airline again after seeing the horrendous customer service and lack of support to their customers. You truly do not care about your customers. ✅ Trip Verified | Sao Paulo to Porto Alegre. This flight was punctual, boarding efficient the aircraft clean, and for a short flight, snacks and drinks were readily available. I have travelled a lot on internal Brazilian flights and find the airlines for the most part efficient. ✅ Trip Verified | Rio de Janiero to Sao Paulo. I heard from people in Brazil that GOL was a good airline, but the flight I was on wasn't. The guy behind the counter was great he had some problems printing the tickets for the KLM flight and adviced us to go to the KLM counter, minor problem. The airplane is average, the service is average. ✅ Verified Review | Buenos Aires to Sao Paulo. I was warned about this airline. Horrible service, at the check-in employee and then manager asked to see my yellow fever shotcard. I produced it and they claimed it wasn't valid as it was older than 10 years. Once I said that that requirement was changed earlier that year by the WHO they claimed they suddenly couldn't read the date although it is quite legible. Because of this I missed my flight to South Africa. The following day I checked with a doctor at Argentina's ministry of health who agreed my shot card was perfectly valid, legible, and the airline is wrong. I tried to file a complaint with the airline but they refuse to help, at first denied the incident ever took place, tried to cover it up by claiming I was a no-show, and are still claiming a handwritten numerical date is too difficult to read and refuse to refund me for their mistake. Avoid airline, I've since heard dozens of similar stories, they rip people off and they are much better options than flying with them. "premium Class is a fraud"
✅ Verified Review | Rio de Janeiro to Buenos Aires. Premium Class is a complete fraud. GOL advertise the following benefits - Lounge Access, Extra checked luggage, Premium Check in, Premium Boarding, Extra Leg room seat, Amenity Kit, Premium class locker, Premium class toilet. Firstly, online check in did not work. It worked for the passenger travelling on the same booking but not for me. On arriving at GIG it was chaos. No priority check in could be found and GOL staff were rude and unhelpful. After 30 minute wait we reached check in. Our bags were processed and both were 24kg. The normal allowance is 21kg but increased to 32kg for premium passengers. We were given a slip and informed to take to payment desk to pay excess baggage charges. We explained we were not due any charges as we had a 32kg allowance, this took 30 minutes to sort out with lots of aggressive attitude towards us. Once through the check in ordeal we thought we would relax in the lounge. Wrong, on enquiring about location of the lounge we were laughed at by GOL staff and told no lounge, unlike the GOL advertised facilities. Boarding was meant to be by priority when in reality it was who could push hardest. Premium lockers were full of crew bags Premium toilets were used by anyone and everyone. GOL Premium is a fabrication of what they really offer its a complete lie. ✅ Verified Review | Rio de Janiero to Belem. Boarding was smooth and I was upgraded at check in to the comfort class. Seat recline and legroom in comfort class were extremely comfortable and seat width too was great! Cabin crew were pleasant and professional. Only water and a dry snack is served on board - the rest is for purchase. What I loved about this airline is that they make announcements in English unlike their counterparts! For a foreigner it is crucial we know what's being announced. Thanks for a great flight.